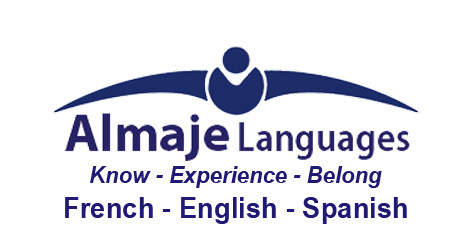 There are many reasons students come to Almaje Languages for help. It is not all about VCE and IB. Some students want to join an accelerated French stream when they start high school; others want to overcome specific challenges and win a competition, some prepare for overseas studies… Whatever their reason, it is great to see them achieve great results, have fun with the French language and progress towards a life-long enjoyment of the French culture. We congratulate them all on their progress in 2017. Chère Marilyne, merci beaucoup pour tout votre soutien cette année. J’ai appris beaucoup et j’ai atteint beaucoup (d’objectifs). Merci de m’avoir aidé à atteindre d’excellents résultats à l’examen du DELF et la compétition Berthe Mouchette. Je ne saurais pas le faire bien sans votre aide et vos conseils. Surtout merci de m’exposer à la belle culture française. J’espère que je pourrai en apprendre plus sur cette belle langue et culture pendant de nombreuses années à venir. Dear Marilyne, thank you for all you help this year. I have learnt a lot and I have achieved a lot. Thank you for having helped me achieve a great result at the DELF exam and at the Berthe Mouchette competition. I would not be able to do well without your help and advice. And thank you for introducing me to the beautiful French language and culture. I hope to learn more about this beautiful language and culture during many years to come. Merci beaucoup. You helped me so much with my French. I don’t think I could have got into “Accelerated French” without you. You make French fun and enjoyable for me. You have shown me so many new games to play. 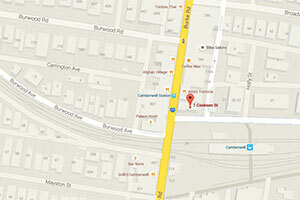 Our study rooms are close to major schools, easy to find and access..